*Please see end of post for details of an incentivised research survey on science blogs we’d love you to participate in. 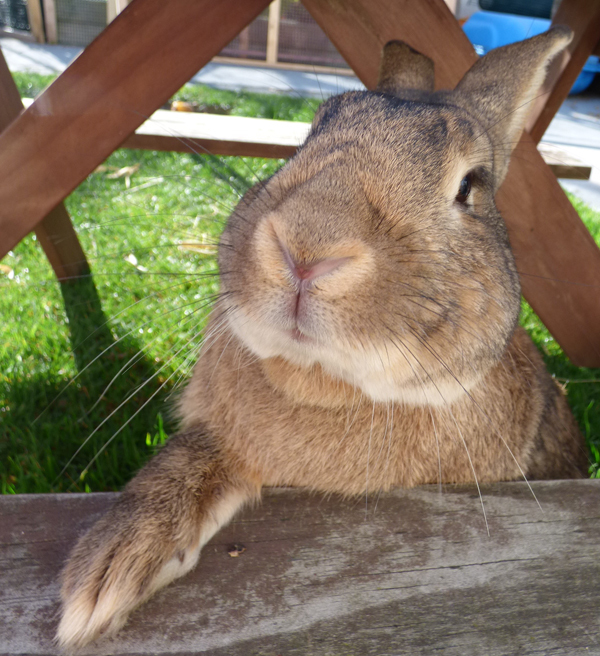 I have a crazily adorable house bunny called Acorn, who is about to become a celeb-bunny on another Sciblogs site. Acorn is exponentially more lovely than our previous rabbit, Daisy, who came to us second-hand and possibly treated sub-optimally. As my other half describes Acorn, “at least this rabbit is vegetarian”. It’s true- Daisy had a penchant for human flesh, particularly his, without provocation. Acorn and my other half are on more amicable, although I won’t say loving terms- when asked he will obediently go into his hutch. He definitely has a strong preference, however, for the women of the household. He’s very tolerant of Miss5’s exuberant loving and really likes being patted, especially on his forehead. The cat of the household Lulu is far less enamoured, more often than not bolting at his slightest approach and getting entirely confused when Acorn puts his head under her chin wanting to be rubbed, interpreting it instead as a threatening action. He is far better at protecting the household than she is, however, chasing any intruding cats off the property and thumping loudly for some time after to alert us of the ‘danger’ as an impressive ‘guard bunny’. Over winter, having been hypnotised by those brown eyes, we let him sleep under the bed. A situation unlikely to change now that it’s spring. He’s even taught himself to use the cat flap and mighty proud of his abilities he is too. Plus, he’s a great tidier- anything in his way he will move in disgust. Cute and cuddly he may be but he’s not without his less desirable attributes- he has a fondness for chewing through ethernet or iPhone cables, if they are in ‘his way’. He will sometimes protest a change in the household by peeing/defecating profusely on the exact spot where my other half sleeps. He went through that awkward adolescent phase of trying to deal with his surge in testosterone and assert his place in the household by frequently doing the same territory marking technique. The ‘sea bunny’ is unrelated to Acorn and other rabbits; rather it’s a type of nudibranch or sea slug, named Jorunna parva. A marine animal I have a minor obsession over. In terms of marine dazzelry (possibly not an actual word, but befitting), nudibranchs are right up there. 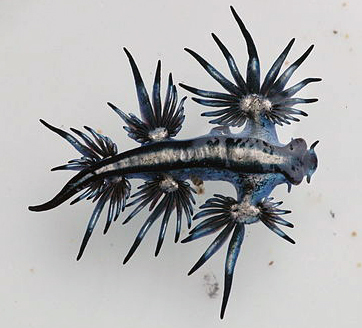 Glaucus atlanticus (below) is familiar to many. Nudibranchs are actually a kind of gastropod mollusc, the largest marine group of animals. Sea bunnies are not a newly discovered species- they were first described in 1938 in Japan, but the internet has only recently promoted them into the celeb-bunny category. At less than 2.5 cm long they are quite small and aside from Japan they can be found throughout the Indo-Pacific Ocean. The video and pictures here show them as white with black spots, but they are more typically yellow or orange as the bottom picture shows. Unlike the at present prolifically moulting Acorn, the fur-like appearance of J. parva is due to bunches of tiny, probably sensory, rods on their back. 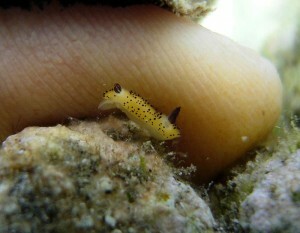 These are also a feature of other dorid sea slugs – a superfamily within the nudibranchs, of which the sea bunny is a member. As for those ‘ears’ that could certainly rival Acorn’s for the cute factor, like real ears they are also sensory organs – rhinopores, used to detect chemical signals in the water- a means for the sea bunny to find food and mating partners. And the fluffy ‘tail’? Well that’s actually its gills. One up on Acorn when it comes to reproducing, the sea bunny is hermaphroditic with both male and female reproductive organs. Each copulation in their short one-year life span involves both parties exchanging sperm. That reminds me of another pet bunny when I was younger, but that’s another story, best suited to more informal scicomm. So would I trade in Acorn for a pet sea bunny? I am slightly allergic to Acorn, so the sea bunny with its lack of actual fur has merit. As far as I am aware they are unlikely to chew through cables and probably would be less likely to use our bed as a toilet when stressed. 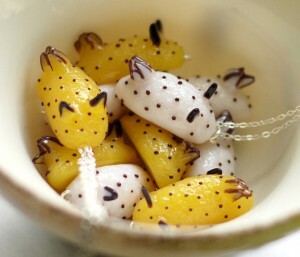 So they’re also wins for the sea bunny. However, I do wonder whether I would have the same ability to cuddle a sea bunny. And although they certainly have in-built defenses in terms of being toxic to eat, the sea bunny is less likely to be such a good guard bunny of the home, although some other nudibranch species can produce sound. So Acorn, it looks like your pet status in my household is solid – but if someone offered me a sea bunny, tank setup and all, it’d definitely be a two-bunny household. 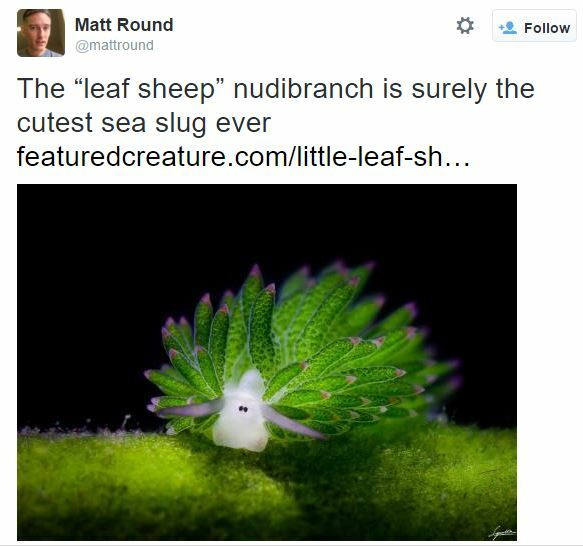 If you’d like to read about another stunning sea slug, here is the Code for Life post on the sheep-leaf sea slug- which of the two sea slugs would you like to have as a pet? UPDATE: I have discovered that one of my favourite stores on Etsy, indolent jellyfish, makes sea bunny necklaces. That might be one way to have a sea bunny within the home. No sign of a sheep leaf version yet though.